Be sure to stop by and enter today. Inheriting the new titleofmargrave means Reinharthas two weeks to find a noble bride. What will happen when he learns he has fallen for a lovely servant girl in disguise? Find out in the new medieval fairy tale,The Beautiful Pretender, by Melanie Dickerson.Despite Avelina’s best attempts at diverting attention from herself, the margrave has taken notice. And try as she might, she can’t deny her own growing feelings. But something else is afoot in the castle. Something sinister that could have far worse—far deadlier—consequences. Will Avelina be able to stop the evil plot? And at what cost? Join Melanie in celebrating the release ofThe Beautiful Pretender by entering to win her Once Upon a Kindle giveaway! Purchase your copy of The Quieting here. Saving The Marquise’s Granddaughter by Carrie Fancett Pagels is a magnificent work of historical fiction. I was drawn in by this complex cast of characters right from the start. This is a story that has so many twists and turns that you will be wondering what will happen next. A story that has the love, faith, devotion, and conflict. I didn’t want the story to end. Be sure to order your copy of The Marquise’s Granddaughter today. 5 stars! I received a copy of this book for my honest review. A Daughter’s Dream is book two in The Charmed Amish Life series by Shelley Shepard Gray. This story grabs hold of you right from the start and doesn’t let go until the very end. A story that makes you feel like you are right there experiencing everything as the story unfolds. This is a most captivating story that is full of faith, love, hope, heartache, pain. If you love Amish fiction then you will surly love this book. Be sure to order your copy of A Daughter’s Dream today. 5 stars! I received a copy of this book for my honest review. 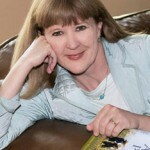 bestselling author, a finalist for the American Christian Fiction Writers prestigious Carol Award, and a two-time HOLT Medallion winner. She lives in southern Ohio, where she writes full-time, bakes too much, and can often be found walking her dachshunds on her town’s bike trail. Review: Someone Like You is the first book that I have read by Victoria Bylin. I am looking forward to reading more books by Victoria. This book is full of faith, love, hope, longing and so much more. Be sure to get your copy of Someone Like you today. 4 stars! I received a copy of this book for my honest review. Incriminating Evidence by Rachel Dylan is a Love Inspired Suspense. This book is action packed all the way through. Just when you think you have it figured out on who did what something else happens. This book is full of love, hate, faith and devotion. If you love romance and suspense than I highly recommend that you order your copy of Incriminating Evidence today. 5 stars! I received a copy of this book for my honest review. Review: The Quieting by Suzanne Woods Fisher is book two in The Bishop’s Family series. Suzanne has done it yet again. She has written another masterpiece. This is a book that will surely capture your attention right from the start and not let you go until the very end. This book is full of love, heartache, pain, faith. I was on an emotional roller coaster ride with this captivating story. This story does a wonderful job of touching on a subject that many shy away from. Grab your glass of sweet tea as you kick back to enjoy this most captivating book. Be sure to order your copy of The Quieting today. 5 stars! I received a copy of this book for my honest review. Be sure and stop by and enter the giveaway!